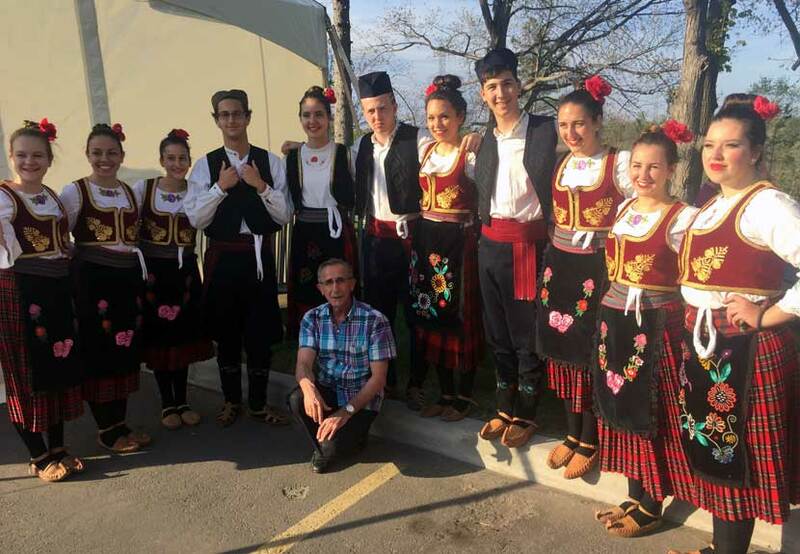 Opanak, a Serbian folklore group from Edmonton, Alberta in Western Canada will be among many groups performing at the Intercultural Dance Festival 2017 Saturday, May 20 beginning at 6:00 p.m. at St. Sava Church, 9191 Mississippi Street, Merrillville, IN. 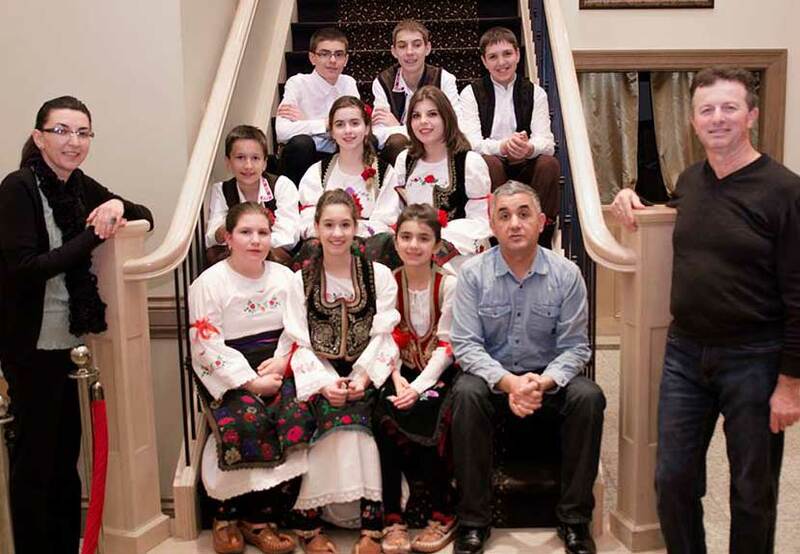 Today the Serbian Dance Association Opanak consists of six different age groups. The Serbian Dance Association Opanak was founded in 1959 beginning with only 15 members with rehearsals taking place in the basement of the family household. Since 1986 the number of members has been constantly increasing and the folk group Opanak now practices at the premises of their local church-school community. The majority of active members are children and young people. 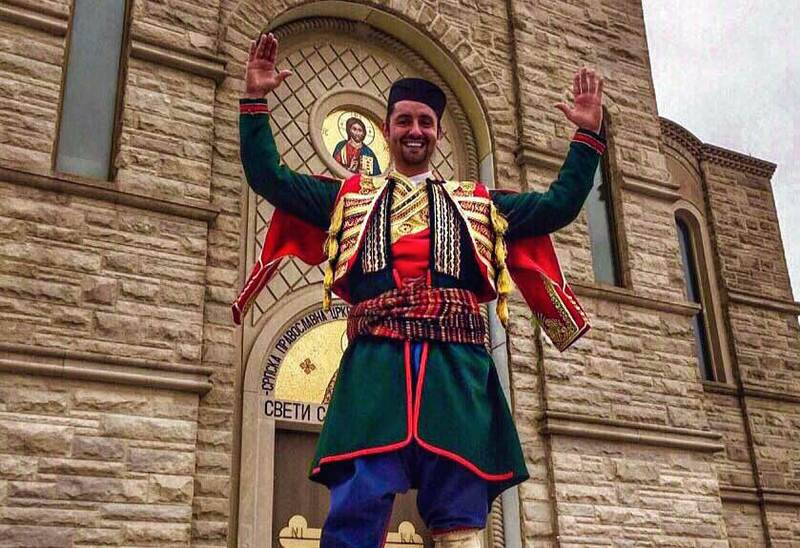 Opanak strives to unite people through music, song and dance in order to keep the Serbian culture alive. 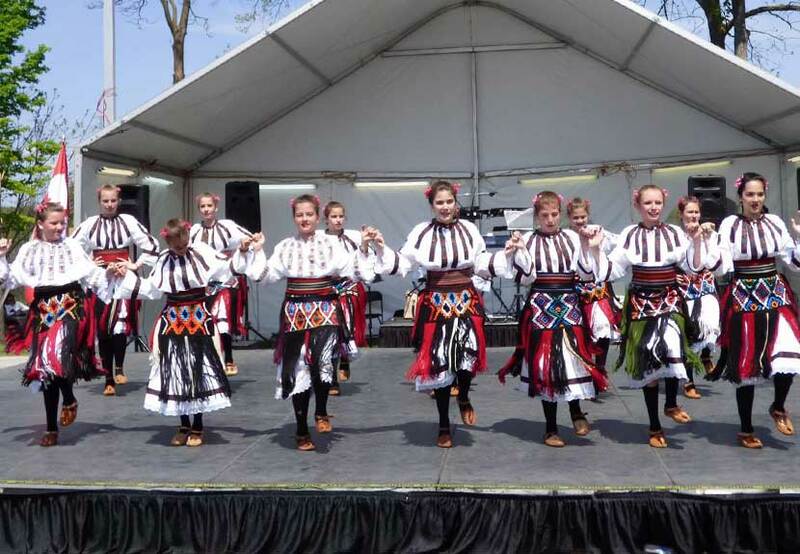 Many young people have been a part of Opanak with numerous appearances at Serbian folklore festivals through the United States and Canada. Opanak was part of the Heritage Festival from the very start as well as the opening ceremonies at the University Games in Edmonton (see more about Opanak at http://www.facebook.com/Edmonton.Opanak/). Performers from Serbian Dance Association Opanak will join Srbadija Folklore, the youth folklore dance group at St. Sava, and many other dance groups as they perform in this special showcase of dance from different cultures and delight all with Serbian cuisine and the famous bake sale available during the event. Approximately 12 different dance groups have confirmed they will be performing and will be sharing their talents. 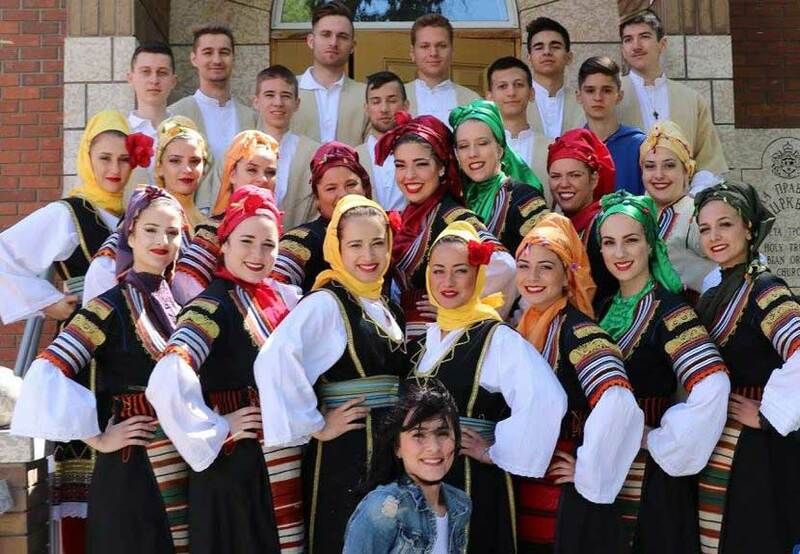 Folklorna Grupa Kosovski Bozuri from Oakville, Ontario will be among many groups performing at the Intercultural Dance Festival 2017 Saturday, May 20 beginning at 6:00 p.m. at St. Sava Church, 9191 Mississippi Street, Merrillville, IN. 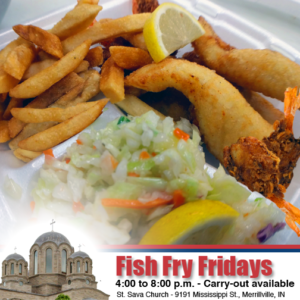 Folklorna Grupa Kosovski Bozuri are from a small Serbian community at the Church of St. Peter and Paul in Oakville, Ontario. The group consists of two smaller groups, Dukati 4-8 years old and Biseri 9-14. 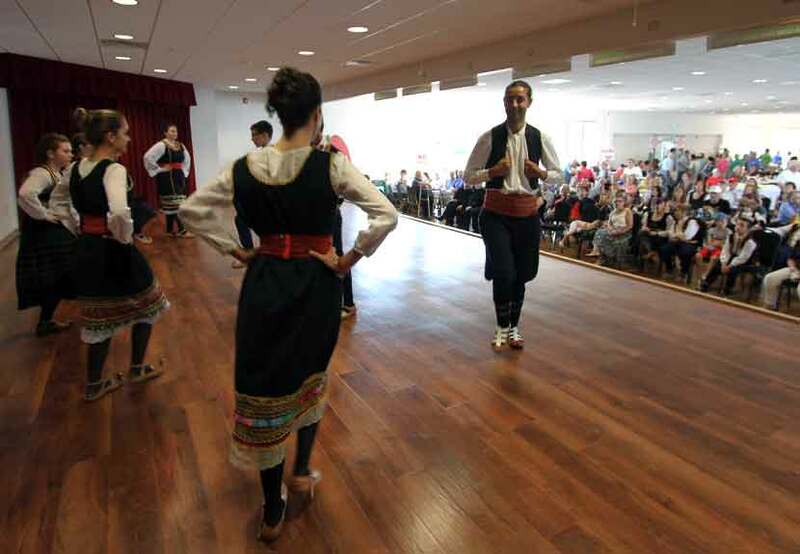 The group gathers together to teach the children the true art and pride of the Serbian heritage through dance and culture. Performers from Folklorna Grupa Kosovski Bozuri will join Srbadija Folklore, the youth folklore dance group at St. Sava, and many other dance groups as they perform in this special showcase of dance from different cultures and delight all with Serbian cuisine and the famous bake sale available during the event. Approximately 12 different dance groups have confirmed they will be performing and will be sharing their talents. 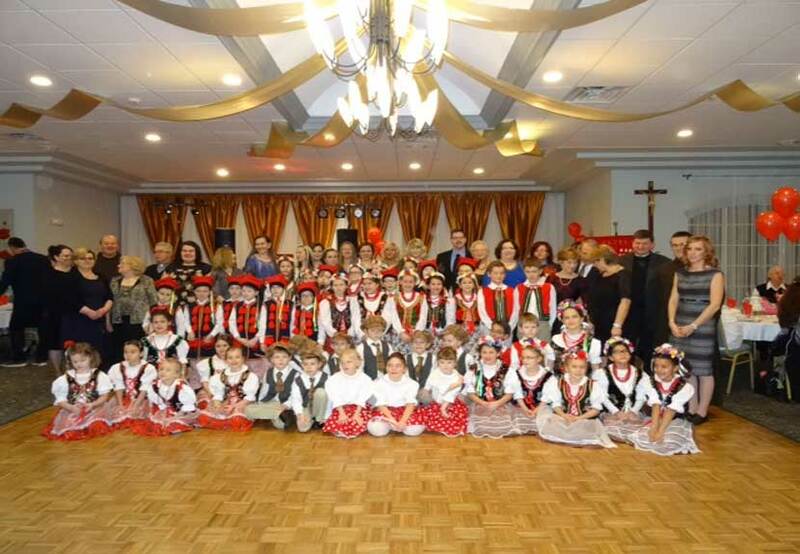 St. Raphael Kalinowski Polish School from Munster, IN will be among many groups performing at the Intercultural Dance Festival 2017 Saturday, May 20 beginning at 6:00 p.m. at St. Sava Church, 9191 Mississippi Street, Merrillville, IN. 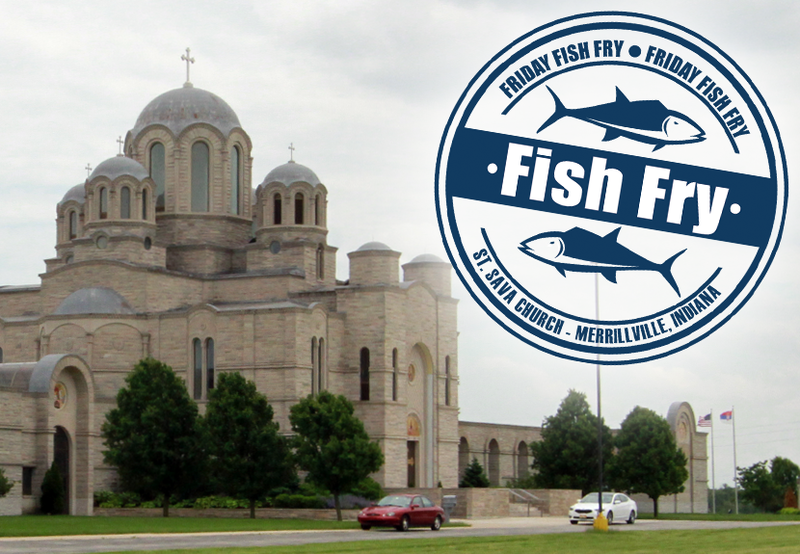 St. Raphael Kalinowski Polish School, located at 1628 N. Ridge road in Munster, Indiana at the Carmelite Fathers Monastery, was founded in 1968 and is the only Polish Language and Dance school in Indiana (http://www. polskaszkolakalinowskiego.org). This year St. Raphael Kalinowski Polish School has 112 students from preschool to high school learning Polish Language, History, Geography, Religion and national and folk dances. The school is under patronage of the Polish Roman Catholic Union of America and run by a School Board. Mrs. Malgorzata Czachor is School Principle. At the Intercultural Dance Festival 2017 the after school dance group from St. Raphael Kalinowski Polish School will perform “Mala Polska” (Little Poland). The dance group consists of 12 students ages from 6-12 years old. Mrs. Agata Wilgocki is our dance instructor. Youth from St. Raphael Kalinowski Polish School will join Srbadija Folklore, the youth folklore dance group at St. Sava, and many other dance groups as they perform in this special showcase of dance from different cultures and delight all with Serbian cuisine and the famous bake sale available during the event. Approximately 12 different dance groups have confirmed they will be performing and will be sharing their talents. 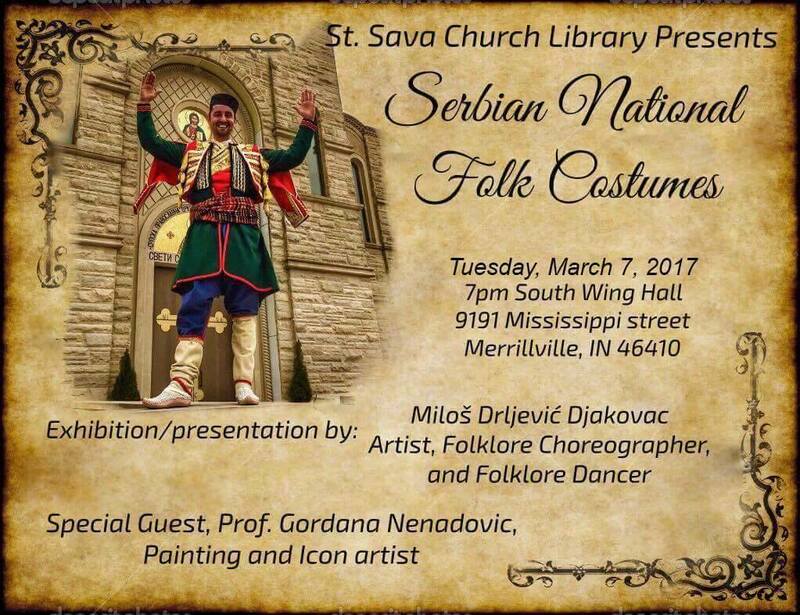 Srbadija Youth Folklore Group of St. Sava Church in Merrillville was recently featured on the Lakeshore Public Media program “Eye on the Arts” showcasing the importance of this cultural heritage experience. Click the play button on the YouTube video below to see the segment from the television show. 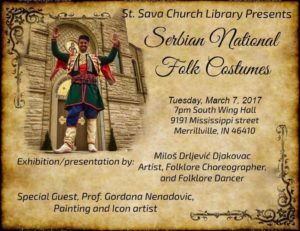 Lakeshore Public Media of Northwest Indiana recently featured “Srbadija Folklore” of St. Sava Church in Merrillville, Indiana on their “Eye on the Arts” television program. Watch the television segment below by clicking on the Youtube video.